Wendy J St Christopher - Print Fulfillment - Production - FineArtAmerica - Fine Art Prints by Wendy J. St. Christopher - The Fine Art of Insomnia! * All purchases through this website are processed, printed, and shipped by my primary online print fulfillment partner of the last several years — Fine Art America. All information on this page refers to FineArtAmerica.com, and is used from their website, with permission. Fine Art America is one of the largest, most-respected giclee printing companies in the world, with over 40 years of experience producing museum-quality prints. All of our prints are produced on state-of-the-art, professional-grade Epson printers. We use acid-free papers and canvases with archival inks to guarantee that your prints last a lifetime without fading or loss of color. If you're not happy with a purchase that you made on FineArtAmerica.com, for any reason, you can return it to us within 30 days of the order date. As soon as it arrives, we'll issue a full refund for the entire purchase price, including the outgoing shipping charge. Please note - FAA does not reimburse the return shipping charge unless the return is due to a defect in quality. FineArtAmerica.com sells thousands of pieces of artwork each month - all with a 100% money-back guarantee. We take great pride in the fact that artists have chosen FineArtAmerica.com to fulfill their orders. Once a customer has finished selecting prints and choosing size, preferred paper or finish, and optional accessories (framing and/or mounting), it's time to checkout. Checkout occurs via a secure page on FineArtAmerica.com (SSL encrypted). Customers can pay for their purchase using any major credit card (American Express, Mastercard, or Visa) or PayPal. During the checkout process, the customer will specify the shipping address where the prints should be delivered. FineArtAmerica.com will then calculate the applicable shipping cost and add that to the total order. 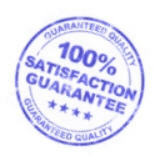 Once the customer verifies that all information is correct, the order is submitted for processing. We then charge the customer's credit card or PayPal account, and the customer receives an e-mail confirming that his/her order was received and is being processed. At this point, the production wheels are set in motion, and our staff begins the process of printing, stretching, matting, framing, glazing, protecting, boxing, and shipping! All framed orders are shipped in heavily-protected cardboard boxes. Print-only orders are rolled and shipped in cardboard tubes. Most orders ship within 1 - 3 days. All orders within the United States are shipped via UPS Ground (except Hawaii and Alaska, which are shipped UPS Air). All international orders are shipped via FedEx or United States Postal Service (USPS). FineArtAmerica.com will ship orders almost anywhere in the world. As soon as the order ships, the customer will receive another e-mail with the tracking information. In addition, the customer can login to his/her account on FineArtAmerica.com at any time in order to view his/her purchase history and the shipment status of each purchase. Depending on the location of the customer, most prints will arrive within 1 - 5 days, at which time the process is complete! * Most of the text on this page is from FineArtAmerica.com. Used with permission.